Irene is back! 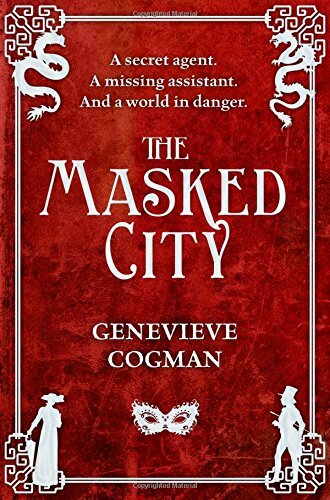 This is the second instalment in Genevieve Cogman’s wonderful series about The Invisible Library. The first book was a huge amount of fun and The Masked City is no exception. Genevieve has really settled into her style here and this is a more confident, bigger tale as Irene has to go on a rescue mission to find her protégé across worlds, facing down dragons and Fae (and the occasional werewolf) as she goes. The story is a helter-skelter ride across worlds ending up in an alternate Venice where Irene must try and rescue Kai from the dastardly Guantes before he’s auctioned off to the highest bidder and a war is started between the Dragons and the Fae. There’s a clock ticking down the hours and a real sense of drama and tension as we get closer to midnight. I thought The Masked Library was a huge amount of fun, and if you’ve read The Invisible Library, this is a must-read. If you’ve not read that yet, start with the first book – this is one series you really want to read in order! Highly recommended.